We combine the basics of traditional Lutheran worship with creative and new practices that bring people closer to the action. We gather in a beautiful worship space where the altar is set in the midst of the gathering and the pastor preaches from the floor to allow engagement with the people. The sermon time is two-way; those gathered are invited to share their own reflections. We have a space for children and families and involve those of all ages in making worship happen. We are an inclusive church, where all are welcome, regardless of faith background, gender identity, sexual orientation, nationality or culture. Every first Thursday of the month, a talented group of vocalists sing ancient prayers to create a rich ambiance for your prayer and meditation. The church is dark, except for the light of candles flickering at the front. The mood is peaceful while keeping a sense of Divine mystery. It is a wonderful way for you to decompress at the end of the day. This event is open for all. Debbie Attias hosts circlesinging at Park Church. Join our joyful community of spontaneous song! 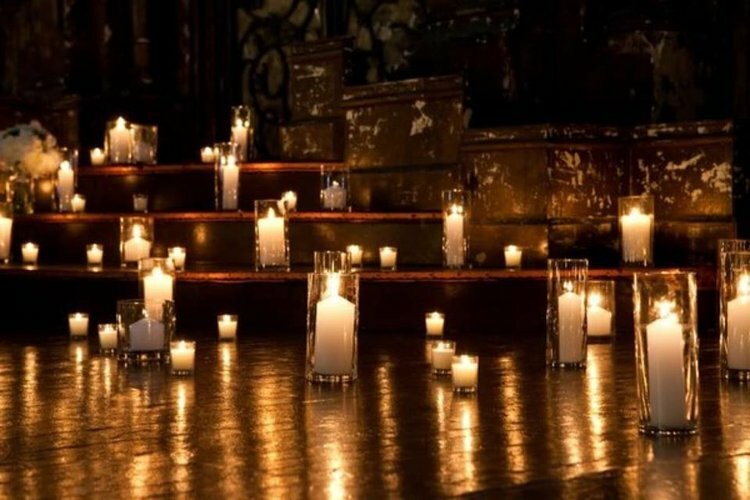 Whether you're an experienced vocal improviser or a secret shower singer, please add your voice to the circle in the breathtaking sanctuary of the Park Church Co-op in Greenpoint, Brooklyn. Please help us make this space inclusive to singers of all experience levels. Be responsible for your own individual learning. $10 - $15 suggested donation. No one turned away for lack of funds. Please confer with our calendar for open sanctuary times. 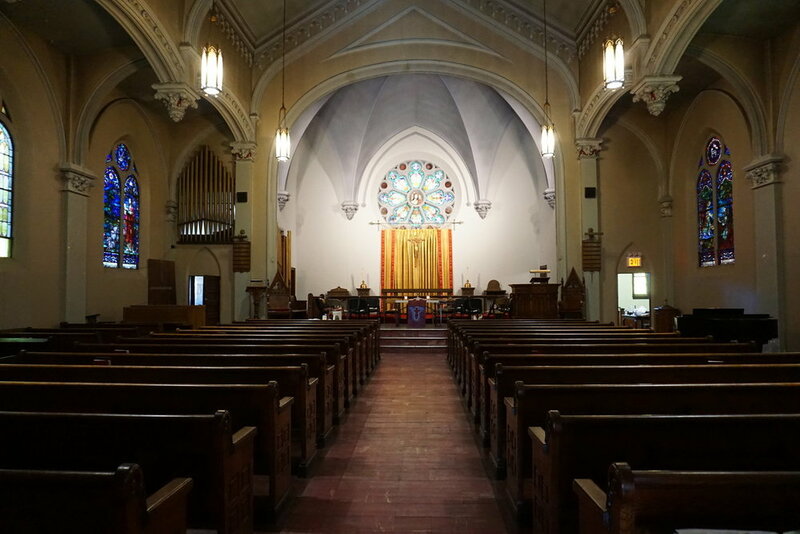 Besides Sunday mornings, the church is often open during the week for you to come in. When you see the big red doors flung wide, don’t be afraid to come up and take a peek! The library at the back is open for reading and quiet time and the sanctuary space is open for prayer and meditation. You can check the calendar for library times to know when the church is open.